Home / Entertainment News / Meet Pastor VICTOR KANYARI’s new wife after he dumped BETTY BAYO, Unaonaje hii mali? (PHOTOs). 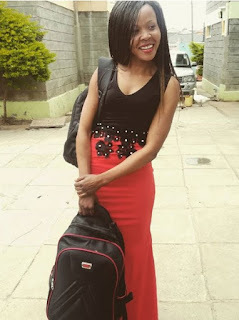 Meet Pastor VICTOR KANYARI’s new wife after he dumped BETTY BAYO, Unaonaje hii mali? (PHOTOs). Monday, October 29, 2018 - Controversial city preacher Victor Kanyari of Salvation Healing Ministries has a new catch. The notorious con preacher who was previously married to gospel singer, Betty Bayo, is co-habiting with his Personal Assistant who doubles up as his new wife. She has been posting photos goofing around in Kanyari’s palatial residence along Kangundo Road. Recently, Betty Bayo exposed Kanyari as a dead beat father who never provides for his family but the fake pastor rubbished the claims.